An economic system may be looked at whole or in terms of its innumerable decision making units (such as consuming units e.g., individual consumers and households), producing units. (e.g., firms, farms business and mining concerns), individual factors of production (e.g., labourers, land-owners, capitalists, entrepreneurs), and individual industries, (e.g., cotton textiles, iron and steel, toy-making): When we are analysing the problems of the economy as a whole it is macroeconomic study. While an analysis of the behaviour of any particular decision- making unit, such as a firm and industry, a consumer, constitutes micro economics. 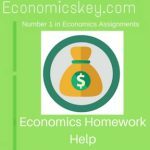 Micro economics is alsu called Price Theory and Macro-economics is called Income theory. Price theory explains the composition. or allocation, of total production -why more of some things is produced than of others. Income theory explains the level of total production and why the level rises and falls”l. We explain below these terms in some detail.